Q . Why Should We Conserve Wetlands? A . A treaty is an agreement which is made up among countries.The Ramsar Convention is a short form of the treaty's title; The Convention on Wetlands of International Importance especially as Waterfowl Habitat. Ramsar is a small city in Iran of the Middle East, on the shore of the Caspian Sea. In this city, the first conference was held in order to promise to agree with the convention. It was made to protect the habitats for waterfowls at first. However, it comes to conserve wetlands as habitats of all life including human beings, as well as waterfowls. It was more than 30 years ago, in 1971. Though only 18 countries joined the convention at that time, it has become most of countries in the world until now. Japan joined the convention in 1975. 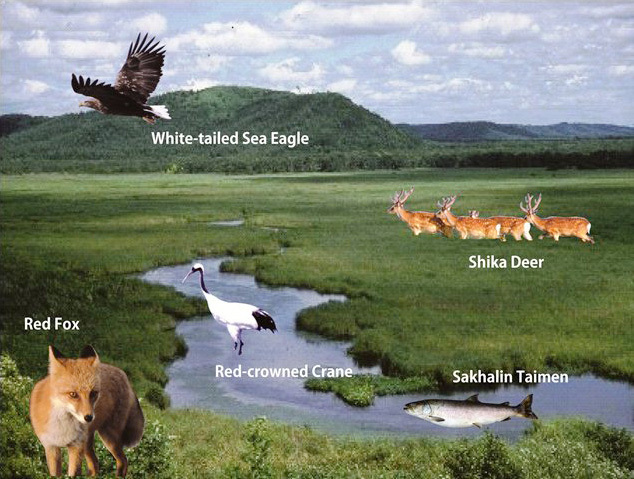 It was only the Kushiro Wetland in Hokkaido that was designated. Since then, it is continuing to increase the number of designated wetlands in the country.